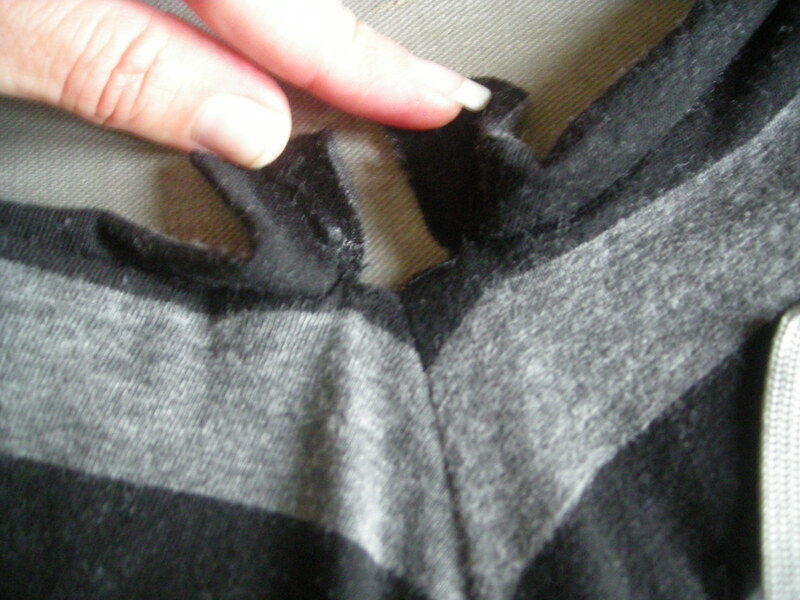 I have not had great luck lately with online group sewing adventures. The last couple I entered, I was unable to finish because I ran into patterning problems (a sew-along, a coat muslin that simply will not behave), or general life issues (a contest, coincidentally another coat, but one I couldn’t finish because my sewing room went under construction for some home remodeling), or other little hooks (like getting bumped out of a sewing bee contest in an early round, along with about three-quarters of the other entrants). But we live in hope, right? The June contest at PR doesn’t require you to pick a pattern and complete that specific pattern during the contest framework. 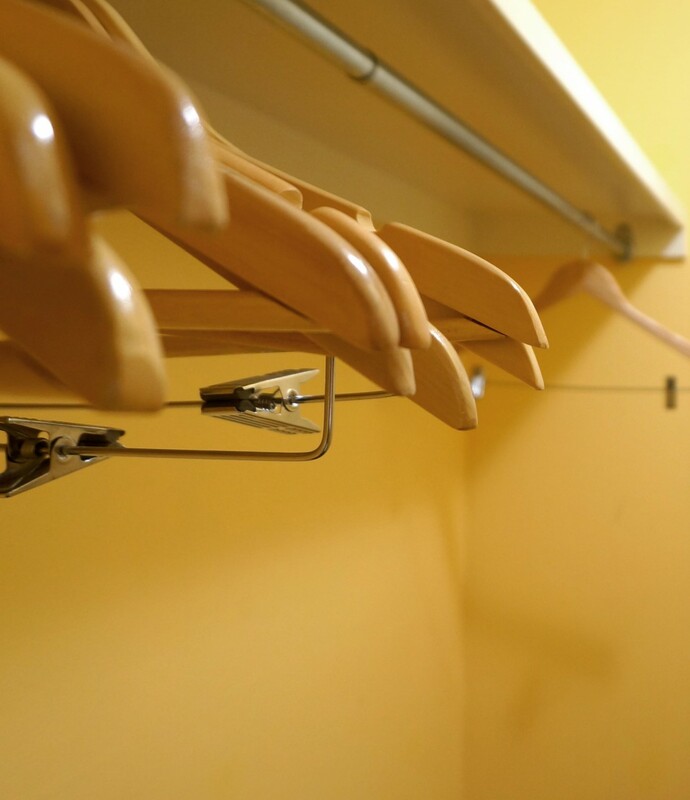 You don’t have to do matched wardrobes or specific assortments of pieces or use certain fabrics. There is one goal, and only one goal. 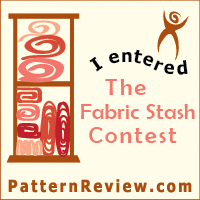 The idea behind this contest is to dig into old stash and sew as much of it as possible in a month. I don’t know how many yards I might churn through, but I know I’m going to have a lot of fun trying. 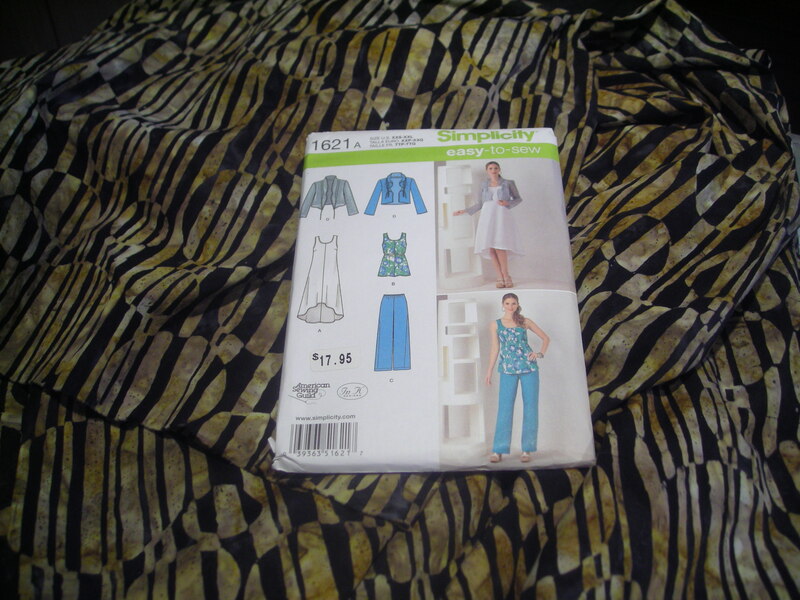 We can pattern and muslin in advance, and we can pretreat our fabrics in advance. So guess what I’ll be doing this weekend! My tracing and cutting station is already set up. 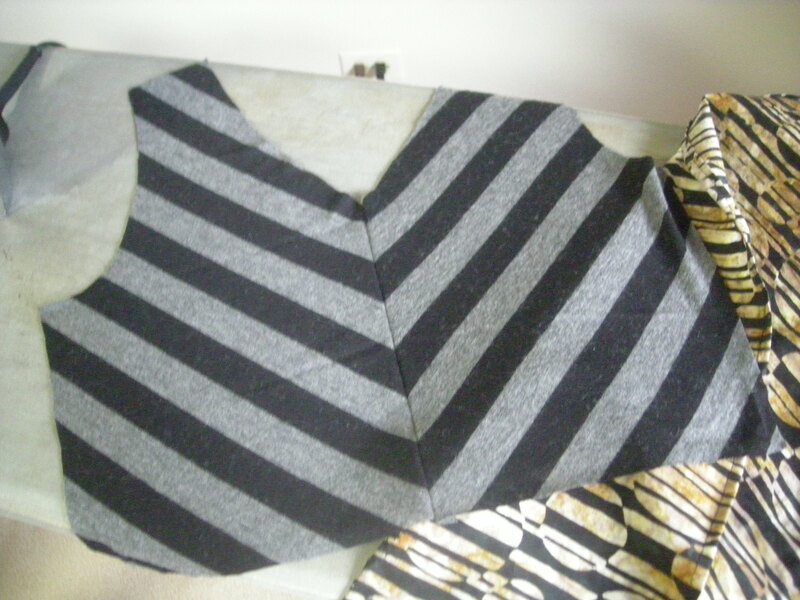 I’ve pulled out several pieces of fabric for pretreating and the patterns I will use to cut them. 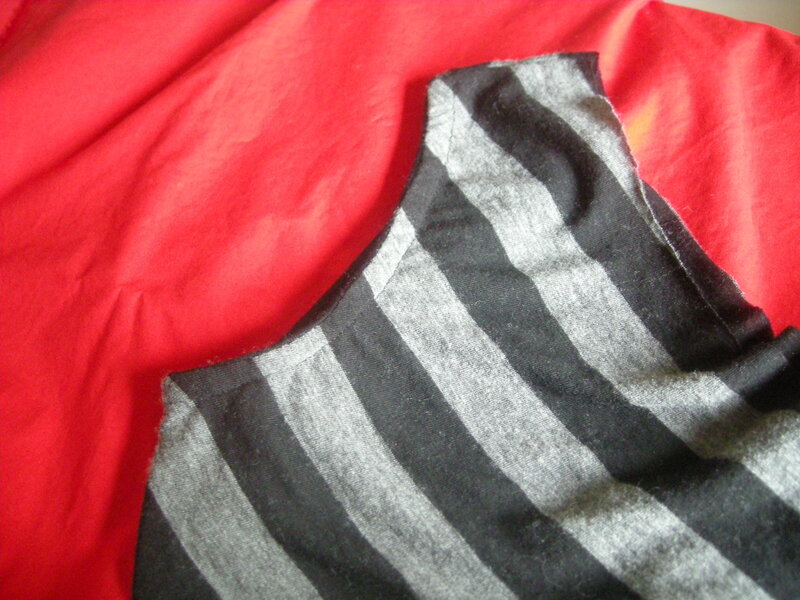 Right now, I’m tracing the pattern for some fabric I pretreated last fall and still haven’t managed to cut or sew. I’m kind of in the pondering stage — I know, for example, that I would like to make a new shower curtain from some Alexander Henry fabric I bought a couple of years ago, and this might be the right time to make it. 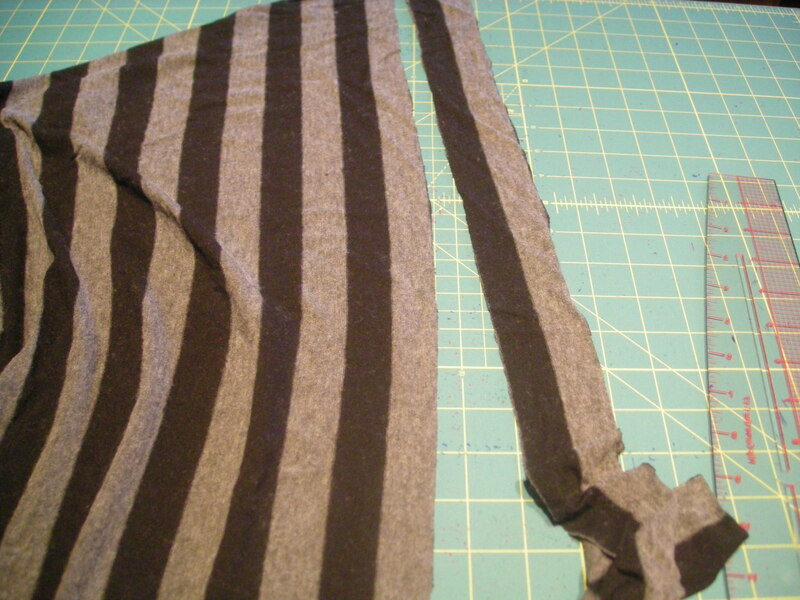 It’s a simple project that would chew through some yardage, about 4.5 yards total for some pretty simple seaming. 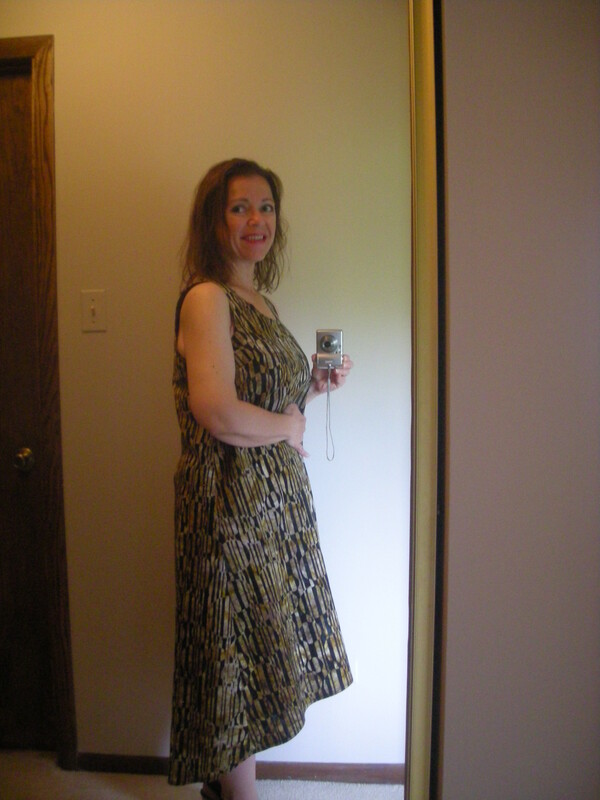 I also want to make a couple of silk blouses, and maybe a couple of breezy summer dresses (I love dresses on a hot day! 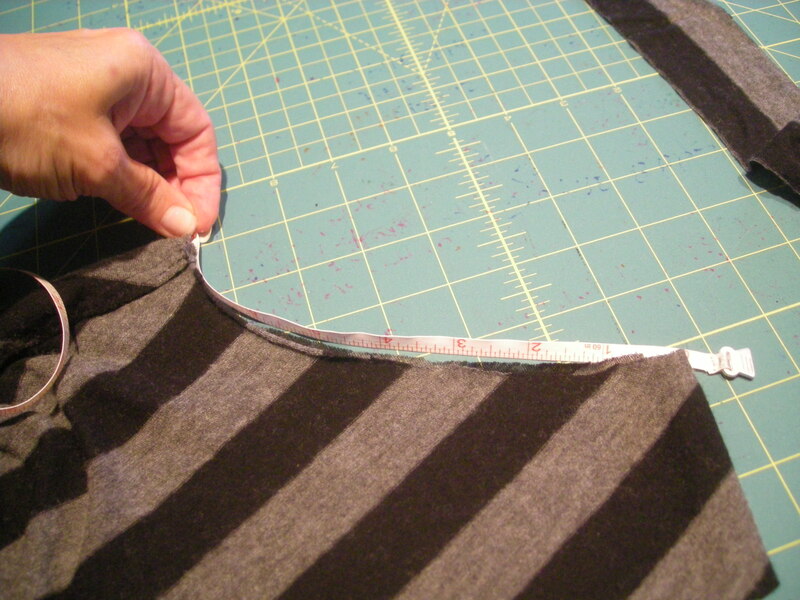 ), so not everything I do will be easy-peasy straight line sewing. But I’m still in the pondering and planning stage, and one of the fun things about this contest is that it will let me stay nimble all month. As long as I sew with older stash and keep sewing, this should be one I can manage to get through. Are you planning to enter any contests or sew-alongs this summer? I’m lighting up the bat signal here. 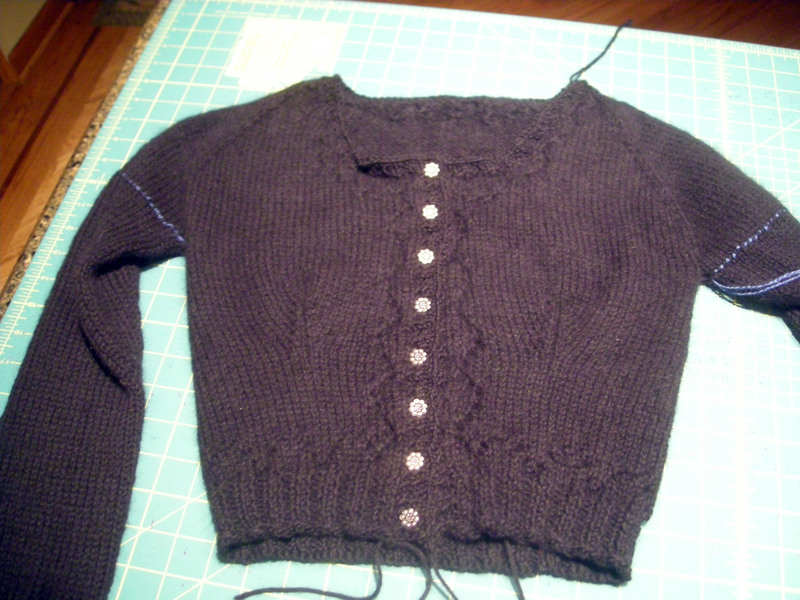 I need a second opinion on the buttons for this cardigan. 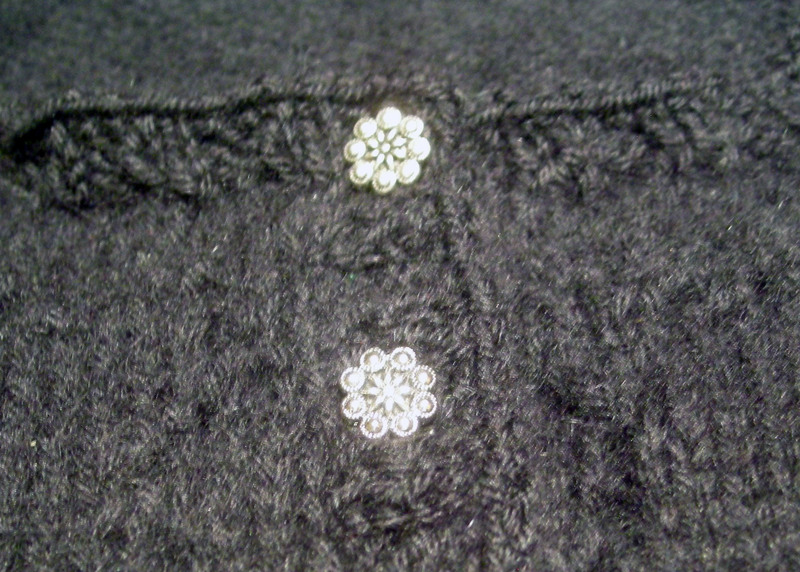 My original plan was black buttons, but the ones I bought (very pretty antique shiny black five-petal flowers) won’t fit through the buttonholes. I sorted through the button box, and came up with these. They fit. I bought them because they remind me of some daisy buttons on a Chanel organdy blouse. 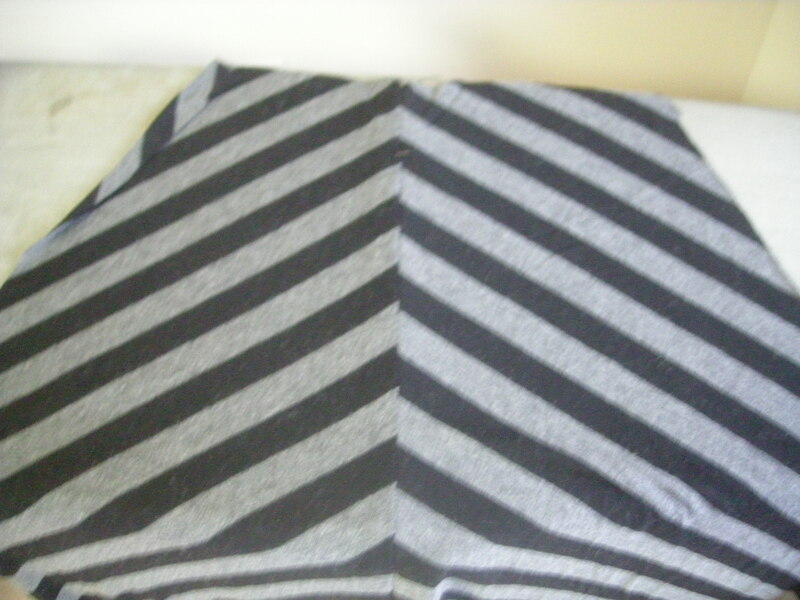 But is silver okay with this cardigan? Or should I go shopping for black buttons? Are they too shiny or too dressy? I think I’ve reached the point where I’ve looked at so many buttons from my button box that I can’t see them anymore. Help help help! So, I had a birthday last week. I’m one of those people who is perfectly comfortable dropping a hundred or so dollars on splurge purchases every now and then, but I hate to pull the trigger on bigger-ticket items. I can have the money for something earmarked and waiting for months before I’ll actually go out and buy the intended item. This is why I started using my birthday as an excuse to jump in and do it. Last year, for example, I bought this beauty. I live within a football field’s length of a trail head to one of the best trail networks in the country. 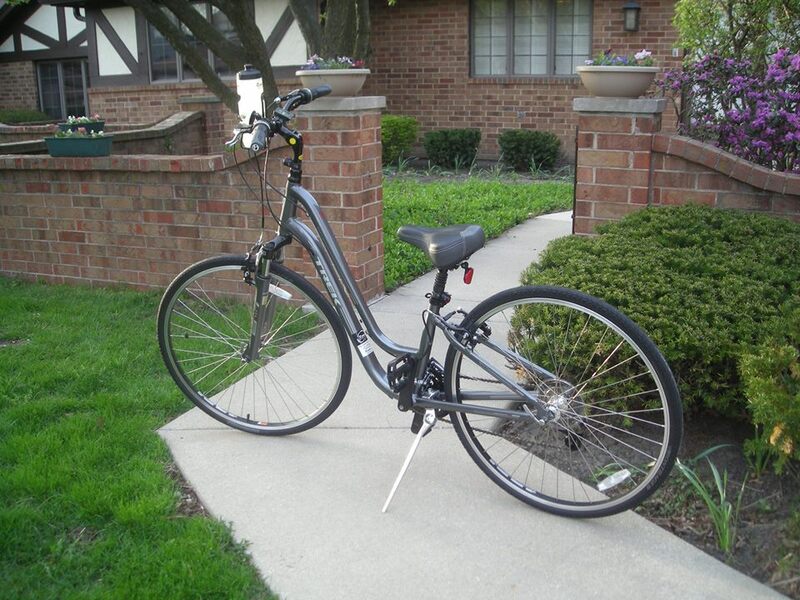 Buying this bike was a no-brainer, and yet it took me months of dithering before I finally pulled out the debit card. I use the bike all the time. Can’t think why I waited so long to get it. 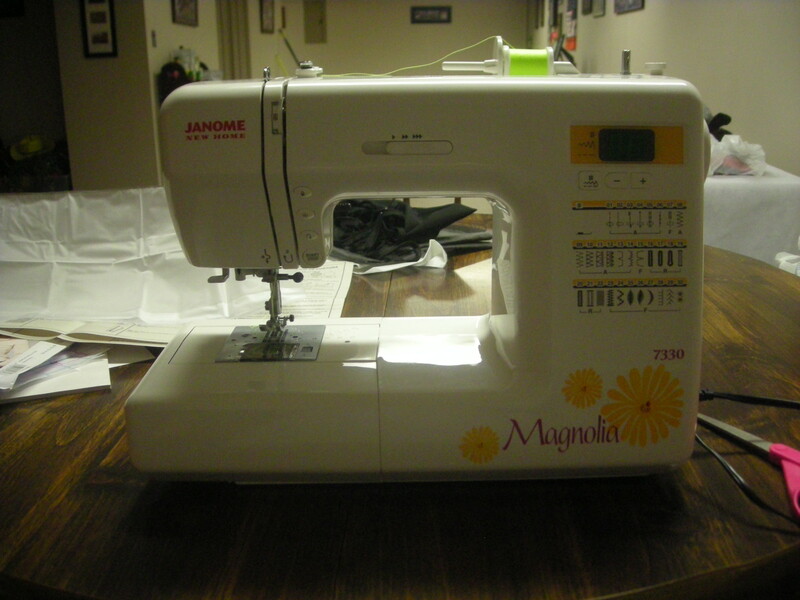 So this year, I knew I would get a new sewing machine. Actually, I’ve been plotting to get a new machine for a long time, ever since my old iron Singer (circa 1960, one of the really heavy cast iron models) died a painful death. That machine was a work horse. It could sew through anything. I’m convinced it could have stitched through plywood. When it died, I picked up a cheap Singer as a temporary measure, something to see me through until I could decide on a better machine. That was maybe four years ago, five years ago, and the best I can say for that machine is that it was there. So now it was past time to get a machine that can actually handle four layers of denim without a psychotic episode. I’m not a quilter, which means that I’m not the target demographic for most sewing machine manufacturers. Most high-end machines come equipped with features (hundreds of decorative stitch patterns, special free-motion capabilities) that have little to no application in garment sewing. What I need is pretty simple, really. I need a sturdy, fast, reliable machine. 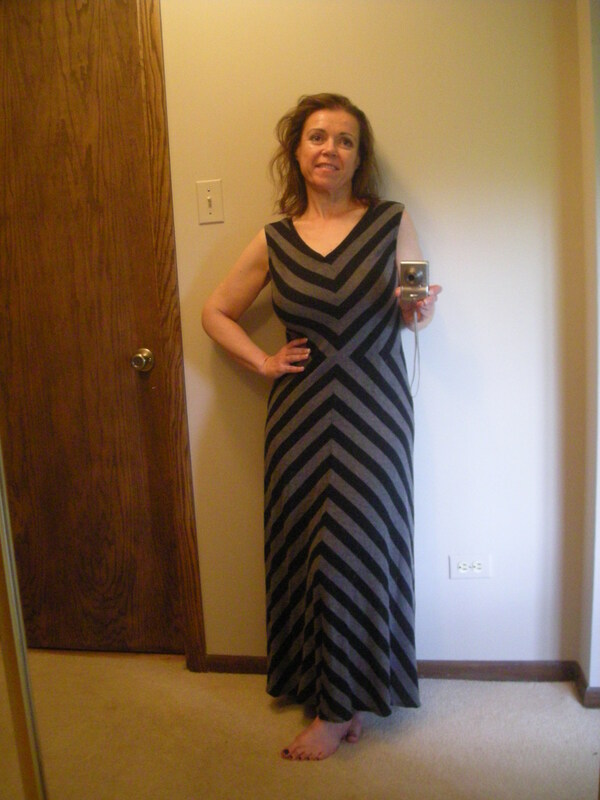 I need a straight stitch, a zigzag, a buttonholer, and maybe a blind hem stitch (though that’s not all that important to me). I need the guts of the machine to be strong enough to power through multiple layers of Melton wool coating. I need a sole plate that won’t let flimsy silk chiffons poke into the bobbin mechanism. I need a standard assortment of presser feet. And that’s pretty much it. My new Janome cost less than the bike I bought last year, and that even included the price of some extra presser feet and a bit of fabric. I played around with the shop model for a while, and I was satisfied that the motor is strong enough to handle an occasional tough job. It’s not a glamorous machine, as far as machine glamor goes, but it’s the best model that does the things I need it to do. The next step up would have taken me into quilting models, not into more horsepower. I’m in the process of converting part of our basement into a sewing studio. This is a good thing. The basement is finished, with windows and good overhead lighting. As you can tell from the photo above, I need to add some task lighting, too. But I’ve spent most of the past week or so getting things transferred from the spare bedroom (smaller space, also doubles as a home office) to the basement and setting things up down there. My workout studio is down there already, along with a large tv with cable and some comfy furniture, so the whole downstairs zone is starting to feel like my refuge. I’m still fine-tuning the placement of the sewing table, ironing board, etc., but I’d say it’s about 90% there. 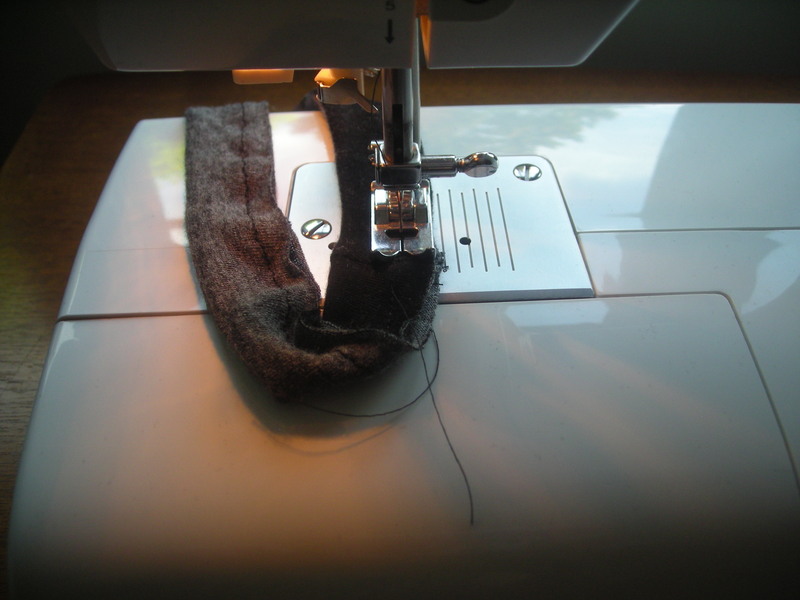 What are your favorite features on your sewing machine? I’ve fallen pretty hard for my needle up/down button. Such a silly thing, but I love it. 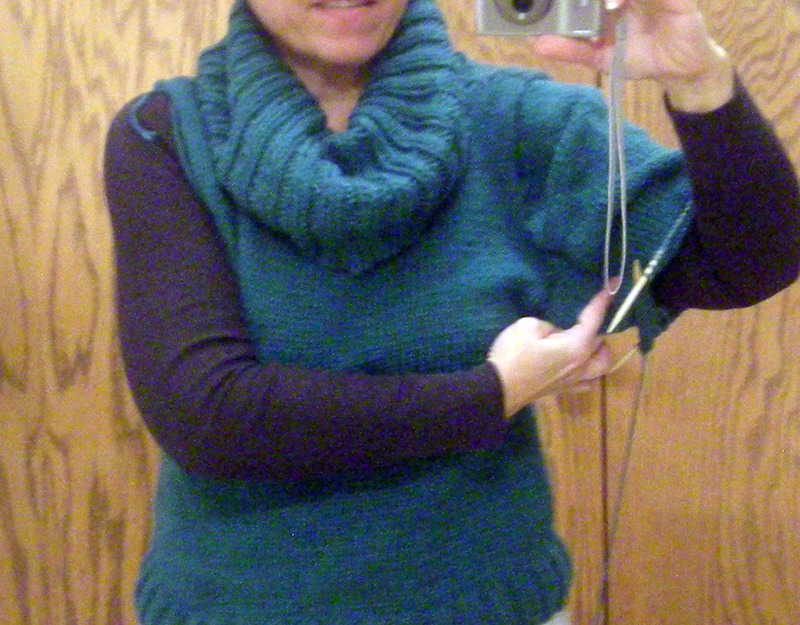 I finally finished seaming my Stoker Cowl, and I’m already wearing it. 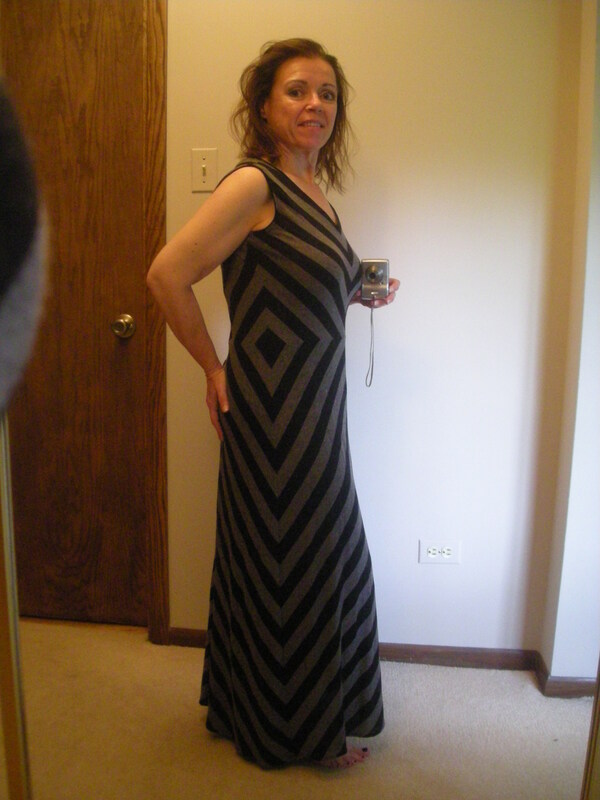 (ravlink to the project page) The pattern came from the Knit to Flatter book, an Amy Herzog-led book of patterns premised on the idea that certain body types should rely on certain design features. Although there is some truth that some designs will look better on one person than another, I think most of the patterns in this book were plain enough to have a pretty universal appeal. I certainly think this one fits that description. 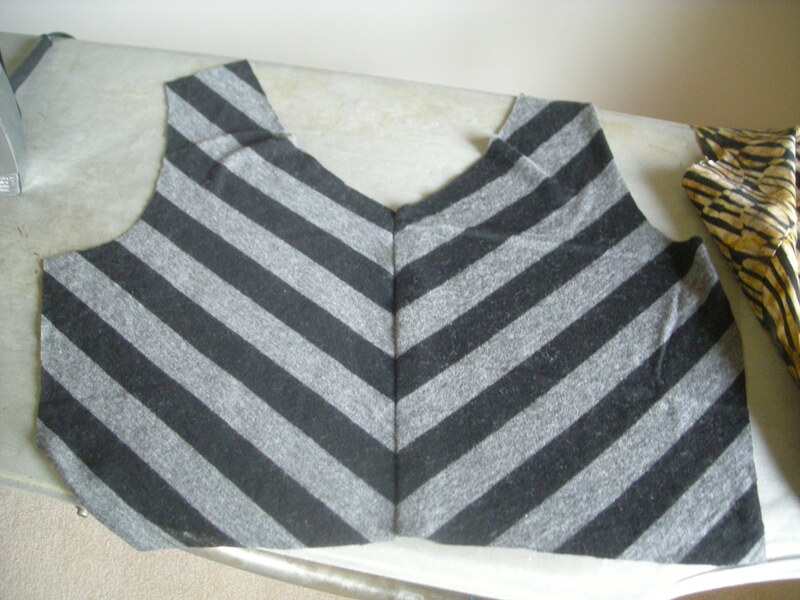 This is a very simple sweater with 2×2 ribbing, some basic waist shaping, and that dramatic cowl. I love the cowl. 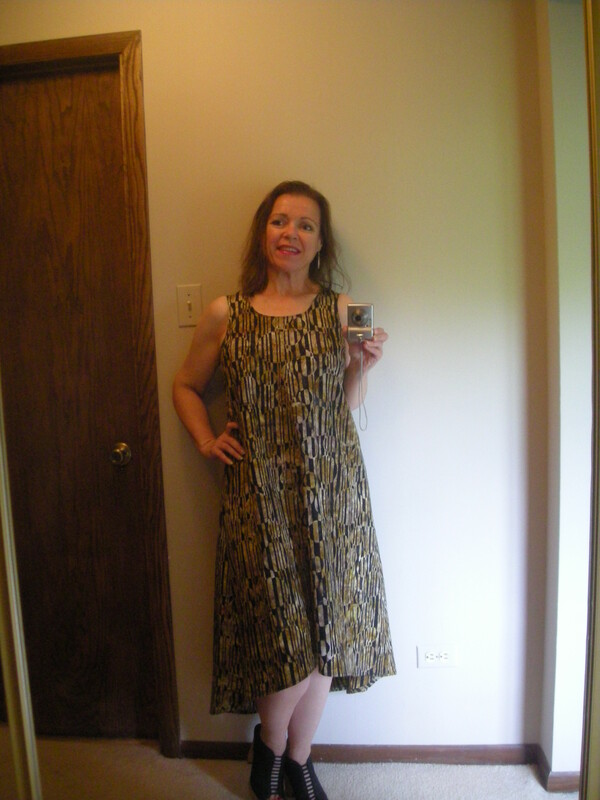 It’s very soft and luxurious to wear, and is every bit as cozy as I’d hoped it would be when I first spotted this pattern. 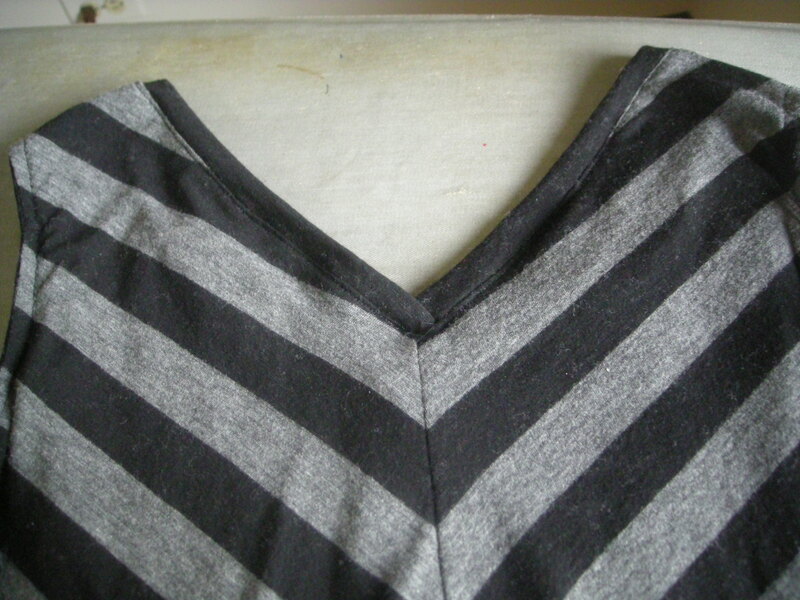 Other than the cowl, though, this is a basic sweater shape, something that I think most women can easily wear. 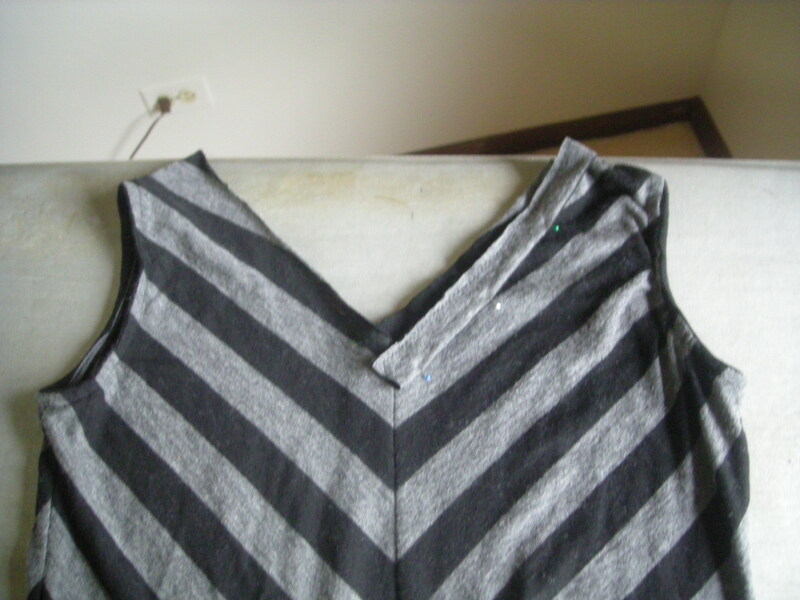 My only changes to the pattern were to lengthen and narrow the sleeves — those sleeves! Geez, did they give me trouble. Remember this from a few months back? 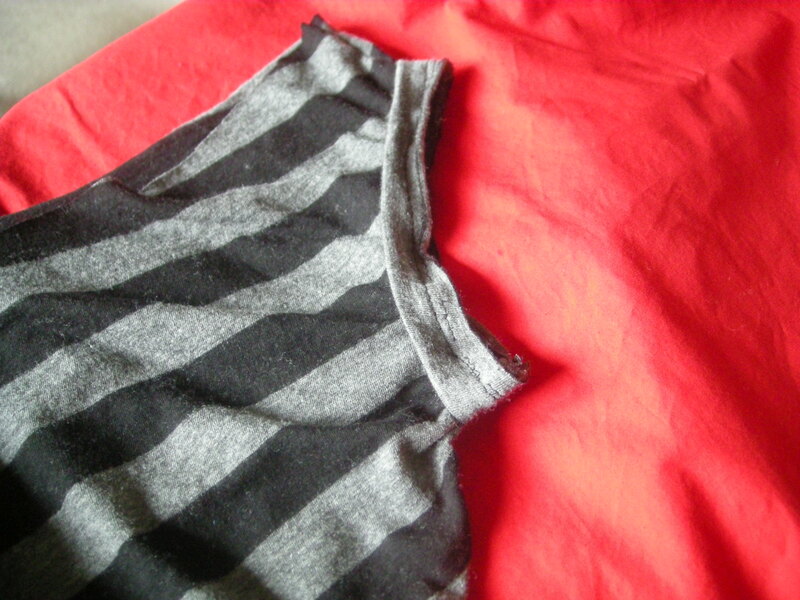 I had to reknit the sleeves three times before they were narrow enough to wear, and they’re still too big. This might be partly due to the yarn I used. The yarn is Classic Elite Attitude, a silk-cotton blend that I picked up on a super-special sale for $1.75 a skein a few years back. This yarn is now discontinued, and with good reason. It’s pretty wimpy stuff, prone to pilling, and it drapes and stretches more like an alpaca than a cotton. I suspect the sleeves kept growing because of the yarn. 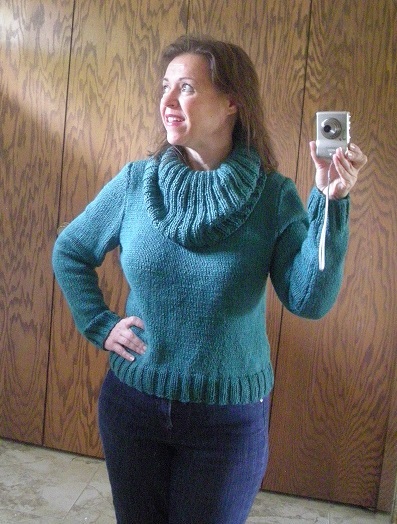 The body is also bigger than anticipated — I knit a 38″ bust size but probably should have knit the next smaller size. 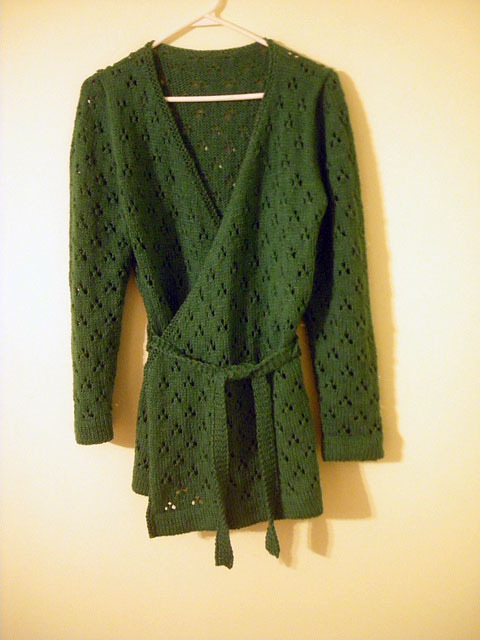 It’s not a yarn I would recommend, but I used it because I had leftovers from making this cardigan. That’s the Strawberry Lace Wrap from Veronik Avery’s wonderful book, Knitting Classic Style (ravlink to project page). I love this cardigan, and people comment on it whenever I wear it. There’s something about that wrap and tie front that is so easy and comfortable. Really a great pattern. So now I have a little twin set of sorts — not exactly the kind of twin set that the pearl-and-tea crowd might go for, but it works for me. 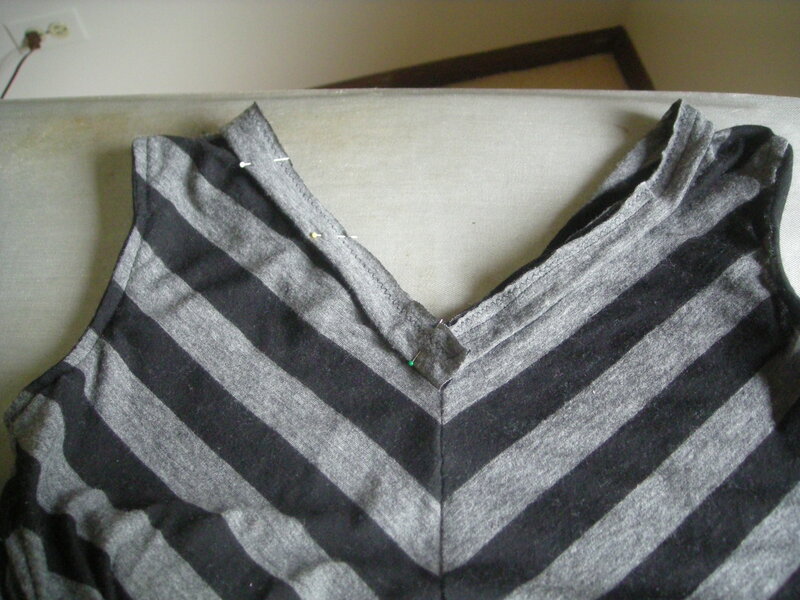 I thought I would also show you one of my favorite tricks for seaming sweater knits. 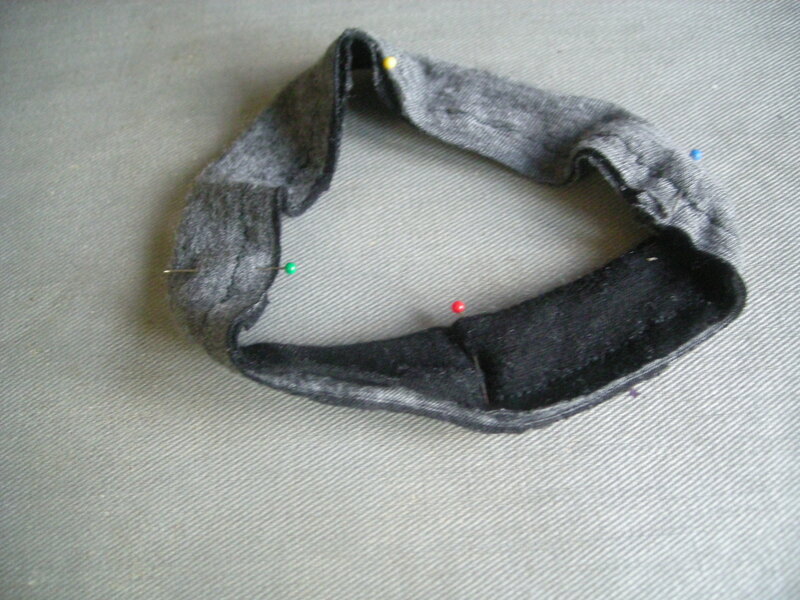 Instead of pinning the seams in place, I use baby hair clips. 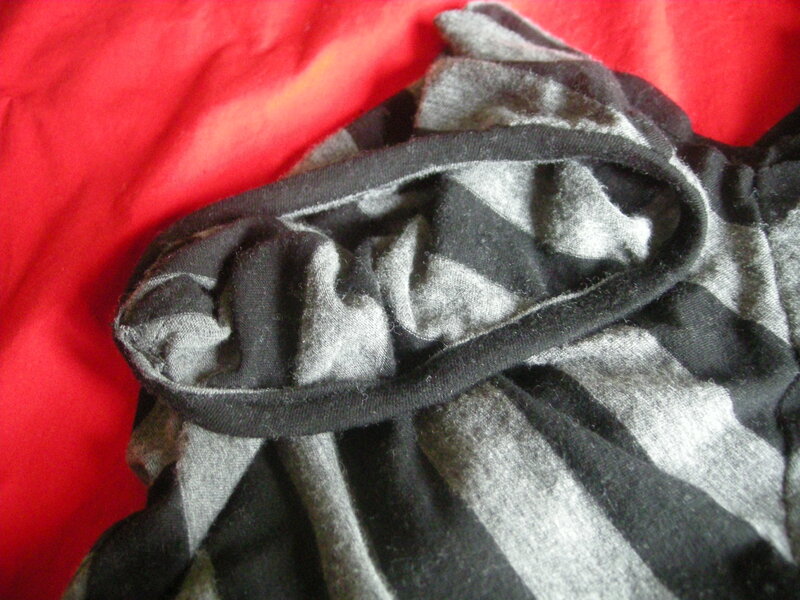 They grab the knit and hold it in place without distorting the fabric, and they can handle even the bulkiest knits. And they were very inexpensive. I can’t take credit for this idea — someone else suggested it to me, but it has been so useful that I wanted to pass it along. It’s one of those tricks that, once I used it, I can’t imagine ever not using it. 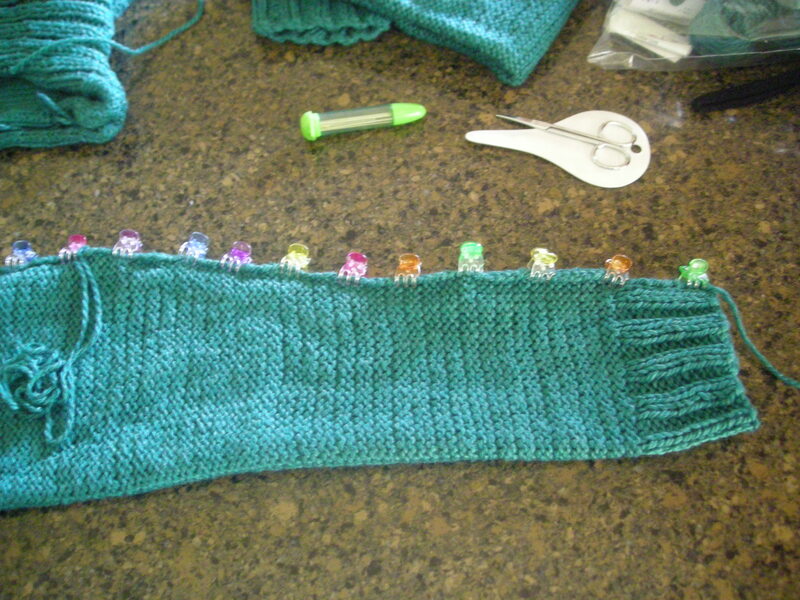 There are still about 2.5 balls of this green yarn left, and I think I might just pitch it. Comes a point where you just can’t stand to look at the same yarn any longer! What do you do with your yarn leftovers when you weren’t all that happy with the yarn?